(Nanowerk Spotlight) Several aspects determine how effective a pharmaceutical drug is. Probably the key issue is how well a drug molecule is able to reach its intended target. This need for target specific delivery of drugs has been well accepted in modern drug therapy. Many research efforts are geared towards improving not just the tissue accumulation, but also the cell-specific accumulation of drug molecules in the hope of improving the efficacy of these drug molecules. The ability to target nanoparticles to specific types of cancer cells is one of the main reasons that nanoparticles have gained favor as a promising drug delivery vehicle. By increasing the amount of an anticancer agent that gets to tumor cells, as opposed to healthy cells, researchers hope to minimize the potential side effects of therapy while maximizing therapeutic response. Now, a group of scientists has taken this approach one step farther by targeting the specific location inside a tumor cell, where a cancer drug then exerts its cell-killing activity. Volkmar Weissig, an Associate Professor of Pharmacology at the Midwestern University College of Pharmacy Glendale, explains to Nanowerk that efforts aiming at the development of pharmaceutical nanocarriers suited for the targeted delivery of biologically active agents to specific organs, tissues and cells date back to the late 70’s. Then, Gregory Gregoriadis discussed the enormous potential of liposomes as a colloidal drug and DNA delivery system for biomedical applications for the first time in two prescient papers published in 1976 in the New England Journal of Medicine – three decades before the term 'nano' started replacing the term 'colloidal' in the pharmaceutical literature. During the 80’s and early 90’s, nowadays widely discussed problems and issues linked to the biomedical applications of nanoparticles such as biocompatibility, biodegradability, biodistribution, toxicity, surface modification, drug encapsulation, drug retention and release have been addressed and largely solved in the field of liposome technology, culminating 1995 in the marketing of Doxil® (liposomal encapsulated doxorubicin) as the first FDA approved nanomedicine. However, despite the progress made in using nanocarriers to increase tissue accumulation of drug molecules to improve efficacy and to reduce unwanted side effects, the successful sub-cellular targeting of drugs specifically to cell organelles has only recently gained broader recognition. Many drugs have target sites inside the cell, at specific cell organelles or even inside organelles such as mitochondria or lysosomes. 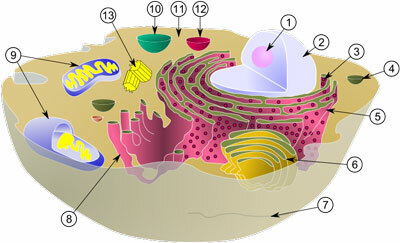 This means that for dramatically increasing the efficiency of such intra-cellularly acting drugs, they not only need to be delivered selectively to organs, tissues and cells, but also to targets inside cells, to cell organelles and even to the interior of cell organelles such as the mitochondrial matrix, which is surrounded by two cell membranes. The sub-cellular, organelle specific delivery of drugs has emerged as the new frontier for drug delivery. In a recent paper in Nano Letters ("Organelle-Targeted Nanocarriers: Specific Delivery of Liposomal Ceramide to Mitochondria Enhances Its Cytotoxicity in Vitro and in Vivo"), Weissig and his former colleagues from Northeastern University have clearly demonstrated that pharmaceutical nanocarriers can be targeted to subcellular compartments. "These nanocarriers offer a significant benefit because they allow the specific delivery of drugs to subcellular targets without the need for chemical modification of the drug molecules" says Weissig. "Most importantly, we have shown that such organelle-specific drug-loaded nanocarriers can significantly enhance therapeutic effect. With suitable ligands, the strategy described in our recent paper could be applied to other organelle targets, thereby offering improved therapy for a number of diseases associated with organelle dysfunction." Weissig's team developed a lipid-based nanoparticle and decorated its surface with a molecule known as triphenylphosphonium cation, which is known to be taken up specifically by mitochondria, the cell's energy-producing organelles. The investigators then loaded this nanoparticle with ceramide, a drug that forms holes in the mitochondrial membrane, which in turn triggers cell death by a process known as apoptosis. Ceramide also has been shown to work in concert with other anticancer agents to overcome the multiple drug resistance that develops in many tumors. Using this formulation, Weissig and his colleagues observed that targeted cells – and only targeted cells – treated in culture accumulated ceramide in their mitochondria. Moreover, the scientists found that only the targeted nanoparticle was able to deliver ceramide to the mitochondria and trigger apoptosis. Untargeted nanoparticles loaded with ceramide, as well as free ceramide, did not accumulate in mitochondria, nor did they trigger apoptosis. Weissig notes that an accidental discovery led him to start this work. "In the Mid-90’s, as a Postdoc in Tom Rowe’s lab at the UF in Gainesville, I was screening drugs known to accumulate in mitochondria for their ability to inhibit a certain – at that time still putative – enzyme in Plasmodium falciparum, the causative agent of malaria. When trying to make a stock solution of such a drug, dequalinium chloride, I realized this drug is able to self-assemble into tiny small vesicles just like phospholipids form liposomes. In other words, by accident, I made what we would call today nanocarriers completely composed of molecules with high affinity for mitochondria, which in addition bear a positive surface charge." Weissig named these vesicles, due to the lack of a better name, DQAsomes for "DeQAlinium derived liposome-like vesicles" (see: "DQAsomes: A Novel Potential Drug and Gene Delivery System Made from Dequalinium™"). "Being well aware of the use of cationic liposomes for the delivery of DNA to the nucleus (as non-viral transfection vectors) it struck me that 'my' DQAsomes might have the potential to deliver DNA to mitochondria" says Weissig. "The only problem I had at that time was the question as to why would anybody like to deliver DNA to mitochondria? Going back to the literature I quickly learned about breathtaking discoveries made just a few years earlier revealing the link between mutations of mitochondrial DNA and human diseases and with astonishment I read about the requirement for a mitochondria-specific transfection vector." Weissig's realization that his accidental discovery about the self-assembly of mitochondria-specific cationic molecules might actually meet this requirement totally changed the direction of his research and during the last 8 years he and his colleagues have demonstrated that DQAsomes do meet all requirements for mitochondria-targeted DNA delivery (see for instance: "DQAsome/DNA complexes release DNA upon contact with isolated mouse liver mitochondria" or "Mitochondrial leader sequence-plasmid DNA conjugates delivered into mammalian cells by DQAsomes co-localize with mitochondria"
Besides the application of DQAsomes – and similar mitochondria-targeted DNA delivery systems – as mitochondrial transfection vectors, a particularly intriguing aspect of this work involves the central role mitochondria play for apoptosis, i.e. programmed cell death. Weissig points out that several clinically used and many experimental drugs are known to act directly on mitochondria in order to exert their apoptotic activity, i.e. to make the cell commit suicide. However, sufficiently high drug concentrations at the site of mitochondria usually require the administration of drug doses, which can easily reach toxic range. By selectively delivering such drugs to their intracellular target site, i.e. mitochondria, the drug dose can be reduced significantly. In other words, sub-cellular, organelle-specific drug delivery may increase the therapeutic efficiency of a drug. Furthermore, nanocarrier mediated mitochondria-specific delivery of pro-apoptotic drugs may even have two additional major effects, explains Weissig. "First, cancer cells have developed the ability to avoid apoptosis by a variety of ways to 'ignore' the body’s command to commit suicide for the benefit of the whole. The specific delivery of drugs known to trigger apoptosis via acting at mitochondrial target sites directly to tumor cell mitochondria, however, would literally bypass defective apoptotic mechanisms 'upstream' of mitochondria and subsequently trigger apoptosis in tumor cells which otherwise would be resistant. "Second, selective targeting to and selective release of drug molecules at their site of action, i.e. the surface of mitochondria, may constitute a novel strategy to bypass the p-glycoprotein, which resides in the cell membrane and which is one major cause for multi drug resistance. The carrier would literally hide the drug from the membrane-bound pump just like the Trojan Horse was hiding the warriors from the gate-keepers. " The ultimate goal of research such as this one by Weissig is the design of nanocarriers, which combine all levels of drug targeting, upon systemic administration to specific organs, then to specific tissues, then to specific cells and subsequently to cell-organelles.